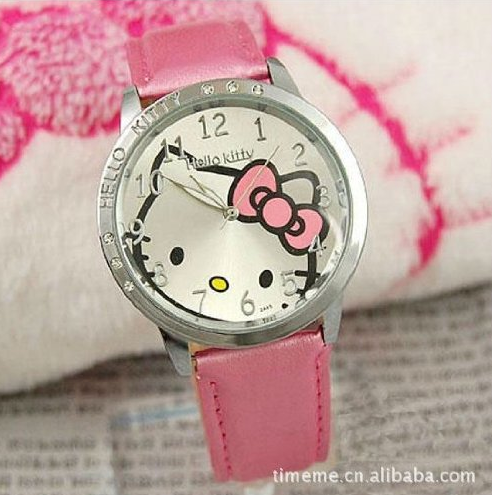 Pink Hello Kitty Watch Only $4.90 + FREE Shipping! You are here: Home / Great Deals / Amazon Deals / Pink Hello Kitty Watch Only $4.90 + FREE Shipping! OK, Hello Kitty fans – I have a great deal for you! Get this fabulous Pink Hello Kitty Watch for just $4.90 + FREE shipping! How cute is this?! And, I love the crystals on the dials!